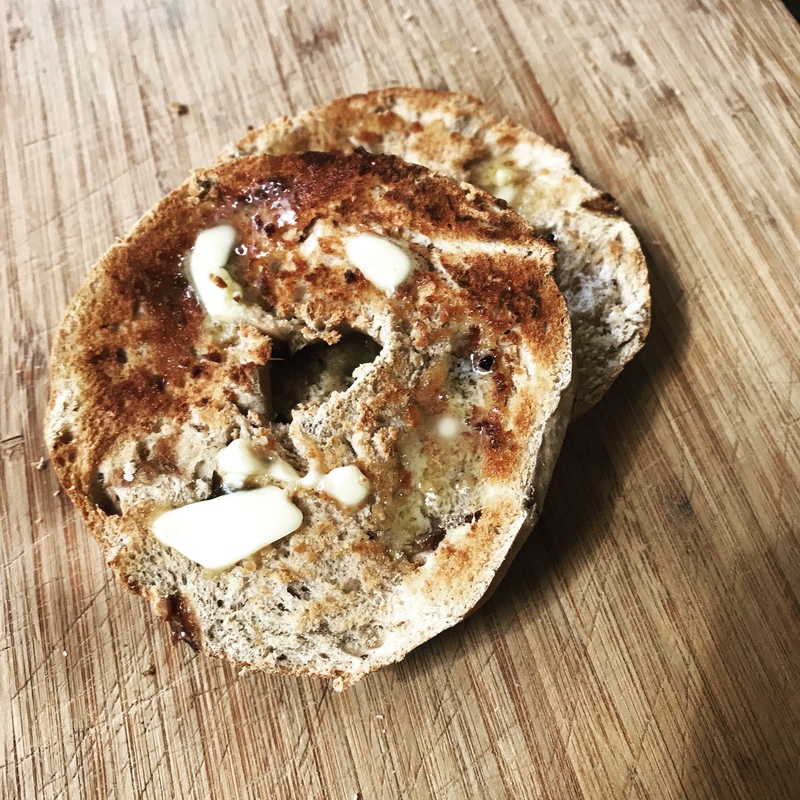 Like cockroaches I firmly believe Tesco bagels could survive a nuclear holocaust. Found this in the bread drawer more than a few days lurking there, but once in the toaster it sprung to life. Feeling smug I asked what was ‘nish’, with a silent ‘k’. ‘Ehh, yes that’s what I meant…’ mumbled I. We stood corrected & enjoyed the food. It was different, now of course the bagel is ubiquitous. I wonder how the Bostonian Finagle a Bagellers would have fared in Jack’s chippy in Omagh or even Fiorentini’s in Derry.